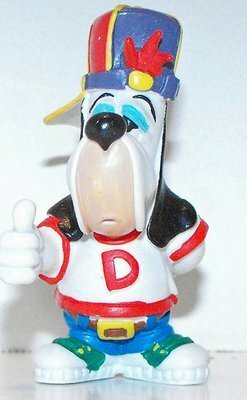 Droopy is an animated cartoon character: an anthropomorphic dog with a droopy face, hence the name Droopy. 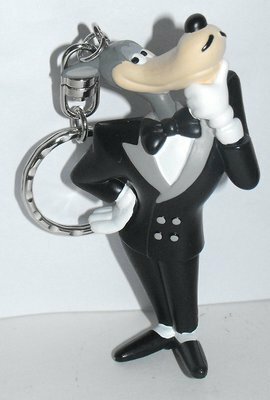 He was created in 1943 by Tex Avery for theatrical cartoon shorts produced by the Metro-Goldwyn-Mayer cartoon studio. 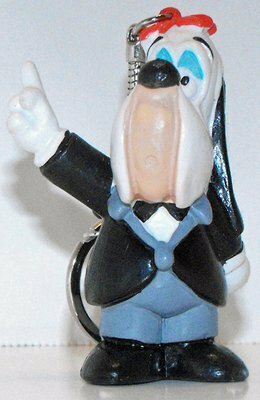 Essentially the polar opposite of Avery's other famous MGM character, the loud and wacky Screwy Squirrel, Droopy moves slowly and lethargically, speaks in a jowly monotone voice, and—though hardly an imposing character—is shrewd enough to outwit his enemies. When finally roused to anger, often by a bad guy laughing heartily at him, Droopy is capable of beating adversaries many times his size with a comical thrashing.